Predominantly used in Germany, the nickname Heckflosse is used to describe Mercedes models produced from 1959 to 1968, particularly the four-door models. In translation, heck means tail and flosse means fin. The tailfin Mercedes models, also known as Finbacks include the 190, 190D, 220, 200SE and both SWB and LWN 300SE models through 1964. For 1965, the new models were 200, 200D, 230S and the 250SE/W180 replacing the 220SE. The 300SE variants gave way to the new W108/W109 300 models at that time as well. 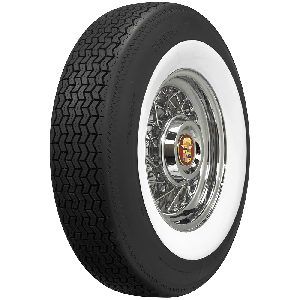 Coker Tire Company offers the Phoenix passenger radials specifically for European luxury classics such as the popular Heckflosse models. 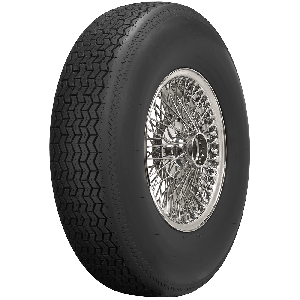 These tires are available in blackwall, narrow whitewall and wide whitewall styles and feature authentic tread patterns and correct sidewall height for the era. 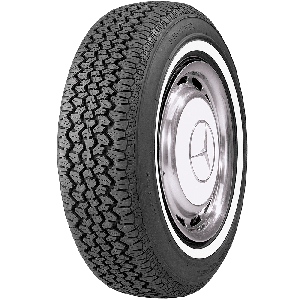 See our complete line of tires for European classic cars.